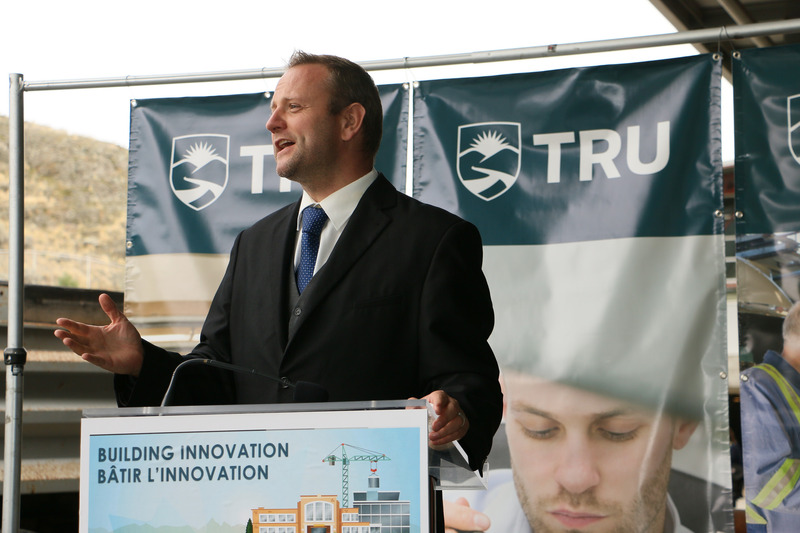 Thompson Rivers University’s vice-president of advancement Christopher Seguin has died in hospital in Victoria following reports he was critically ill earlier Friday. Seguin was said to be critically ill and not expected to survive earlier in a message from his family shared with the TRU community by university president Alan Shaver. Seguin was in Victoria on university business on Sept. 11. “As you can appreciate, this sudden news comes as a devastating blow to the family,” read the short message from Seguin’s family. In lieu of flowers, the family is asking that donations be made to a trust fund account for his and his wife Melissa’s two young children, available at any Kamloops CIBC location. “Christopher has been an inspiring presence at TRU, and I am sure this news comes as a shock to many of you. Please give the family privacy as they try to deal with this,” Shaver wrote in the message. Seguin came to TRU as the vice-president advancement in July 2007, and prior to that he worked as the advancement officer for the Simon Fraser University athletics department. He is also a graduate of Kamloops High School. 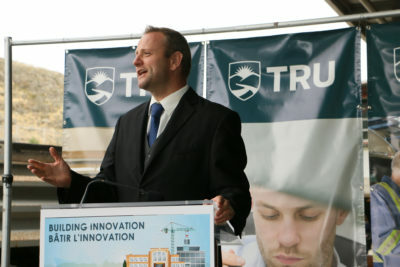 As the VP advancement at TRU, Seguin’s work has brought scores of development to the university, including many of the projects planned and currently underway on campus. Seguin has also been a very active member of the Kamloops community, including work with the Rotary Club of Kamloops and serving as an organizer of the Kamloops Marathon. He also spent much of his summer volunteering to help wildfire evacuees, both on and off TRU’s campus. Shaver noted that counselling services are available for students in room OM 1631, and that TRU faculty and staff can access the employee assistance plan, which includes counselling through local providers. “I urge you to draw upon these services as needed and to pass them on to others, for help in coming to terms with this tragic news,” Shaver wrote. This story was updated Sept. 22, 9:30 p.m.